Grittleton House, our number 1 centre, is located 150km West of london, near Bath and Bristol. Stunning ornamental gardens surround this superb Victorian Manor House. 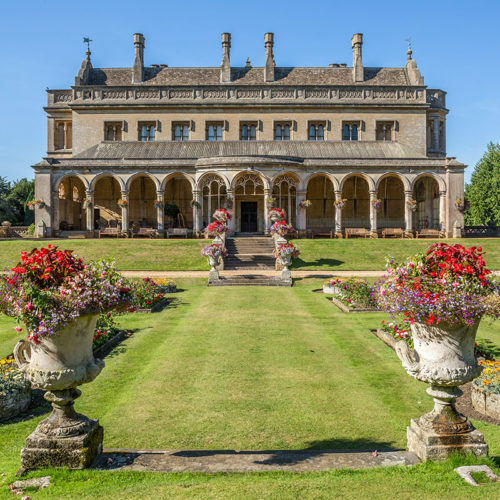 Located in 30 acres of beautiful rural Wiltshire countryside on the edge of the Cotswolds, the site offers space for activities, recreation and inspirational learning. Ideal for small and large groups alike the site comprises of 2 main buildings: The Manor House and The Old Stables. The Stables are a recent conversion offering en-suite rooms of up to 8 people, kitchen and dining rooms, classrooms and entertainment rooms. The Manor House offers a chance to stay in an historic building in dormitories of up to 10 people. Grittleton House is situated just 20 miles from the historic cities of Bath and Bristol, offering a wealth of educational and cultural visits just on the doorstep! The main Victorian manor house comprises 26 bedrooms sleeping up to 150 guests. This building has separate male and female shower rooms. Staff have private showers. 4-12 beds per room. The recently converted Stables comprises 25 rooms sleeping up to 110 guests all with private bathrooms. 4-6 beds per room. 6 classrooms available all year round. Please let us know when booking if you would like to include English lessons in your program. More info on our English courses. Set in 35 acres of playing fields gardens and woodland, there is plenty of space for everyone to enjoy! We have an indoor games rooms with table tennis, pool tables and sound system as well as a cinema and disco room for some evening entertainment. We believe in giving young people food that they want to eat, while being healthy and balanced. All our food is cooked fresh by our catering team. As a former private school, the site is safe and secure. There is CCTV coverage and coded front gates and doors into all buildings. Our rural location means teachers relax in the evenings as well! A member of Classes Abroad will be on hand for the duration of your stay.